Earlier this month we reviewed a recent air duct cleaning job we did at a local nursing home. One of the best compliments we received from them was how efficient and clean our crews were during the process. One of the key things our technicians do before starting the cleaning process is to triple check that the HVAC vents are sealed. This is key to ensuring debris caught in the duct work isn’t blown into the living area of a home or commercial facility. Sealing the vents also creates adequate air flow so particulate in the ducts is effectively removed. 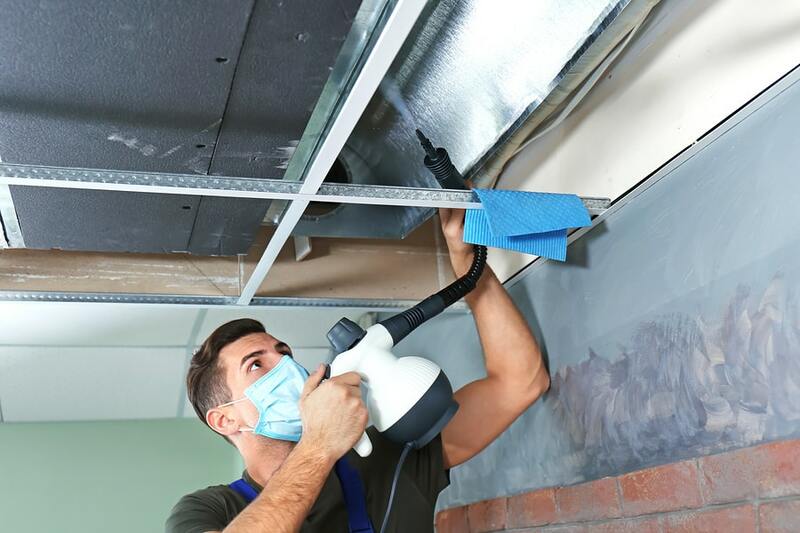 If done correctly, a professional air duct cleaning service should last for around 3 to 5 years (depending on foot traffic and amount of people). To maintain our level of quality service, we are always meticulous with our work, which has been recognized through ratings and reviews from our customers. We always disinfect and protect the air ducts after debris is removed to eliminate any bacteria that may be lurking behind. As a special service, we include a free dryer vent cleaning with our residential air duct cleaning. Dryer build up is a leading cause of home fires and, as you can image, a nursing home facility creates a significant amount of laundry each week. It was very helpful for them that we provided this special service.